If you are looking for a dessert recipe to try out—and you also just happen to love eating a lot of chewy cookies after a long day at work—then you have got to try out these Portuguese cinnamon Manuka honey cookies! Not only will these cookies provide you with the perfect opportunity to dunk your cookies in milk like you’re eight years old again, but they will also provide a unique taste that is made all the better with the inclusion of the New Zealand-based gourmet honey that has set the world on fire in recent years. These crispy, sturdy cookies, which require the use of a cookie cutter if you have one, will have you watering at the mouth before you even know what happened. If you think you need this dessert in your life right about now, then let’s get started on those cinnamon Manuka honey cookies pronto! Prep time: 15 minutes. Cook time: 10 minutes. Total time: 25 minutes. To begin, set your oven to preheat to 350 degrees Fahrenheit on the Bake setting. After providing enough time for the butter to soften (two hours should be enough), beat your butter and your sugar in a medium-sized bowl until a lighter and creamy paste has formed. Now, add the Manuka honey, the cinnamon, the egg, and the lime zest into the mix, blending well. In a separate bowl, mix the flour and the baking powder together, and then toss the powdered mixture into your batter, mixing it well. Find a suitable and clean flat surface, and then spread some extra flour over it, so you can extend the dough. Using a cookie cutter (with any shape or form that you prefer), cut out your cookies. You should have enough dough for at least 12 cookies. Once all of your dough has been used, place the cookies on to an uncovered, ungreased baking sheet and take them to your oven, baking for about 10 minutes or until they have browned slightly. Allow the cookies some time to cool on a cooling rack or on some wax paper before serving. 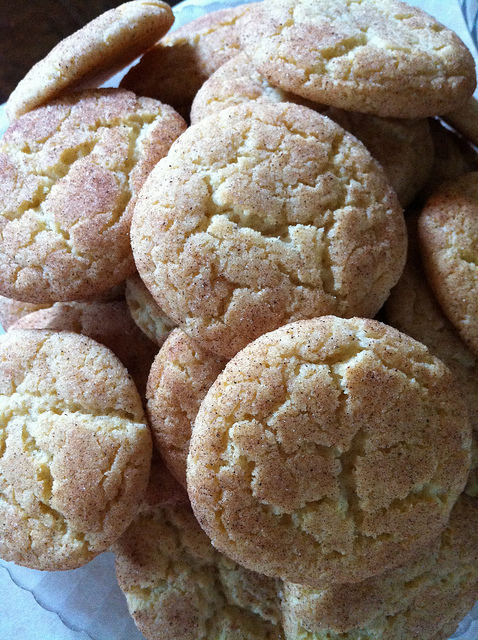 Enjoy your Cinnamon Manuka Honey Cookies!